With less than three weeks until the Feb. 25 trade deadline, buyers and sellers are doing their due diligence around the NHL in an attempt to feel out the market. The Los Angeles Kings have a number of players on the block, as TFP reported over the weekend, and one veteran star is believed to be generating more interest. Left wing Ilya Kovalchuk owns a full no-movement clause as part of his three-year contract with the Kings, however, according to TFP Editor-in-Chief David Pagnotta, the 35-year-old is in fact willing to waive his NMC for the right situation, presumably a contending team. Sources close to the situation have also told TFP the Kings may be willing to retain a portion of Kovalchuk’s $6.25 million annual salary cap hit, depending on the offer being presented. Among the NHL’s current playoff-bound teams, the New York Islanders, Dallas Stars, Boston Bruins and San Jose Sharks have expressed interest in Kovalchuk in the past and could be among the clubs inquiring about his availability. 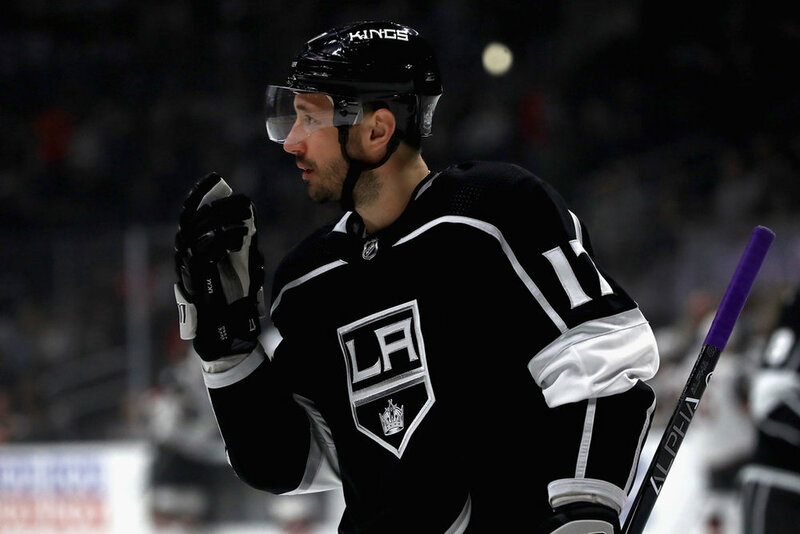 It’s unclear what the asking price on Kovalchuk is from the Kings, but L.A. GM Rob Blake is willing to explore the possibility and is expected to have a conversation with Kovalchuk and his agent in the near future once options become more clear. Kovalchuk started the season with 14 points in his first 14 games, but new interim head coach Willie Desjardins moved him down the lineup, having him play primarily on the team’s third and fourth lines up until recently. Kovalchuk now has 10 goals and 15 assists for 25 points in 42 games on the season, to date.